This simple design has a generous center front overlap featuring a tie belt as the closure so there are no pesky zippers or buttons to worry about. 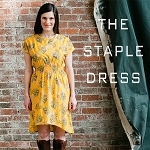 The entire edge of the dress is finished with a contrasting bias binding, making this dress stitch together in a flash! 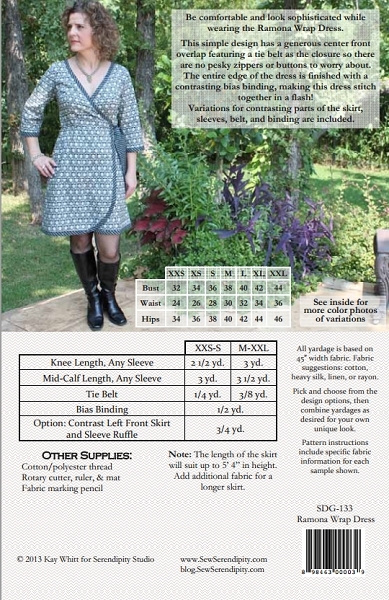 Variations for contrasting parts of the skirt, sleeves, belt, and binding are included.